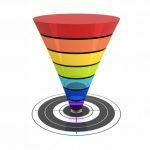 Are you using a marketing calendar? This time of year I like to take a step back and review what I am doing in my online business. Over the past six years I have made huge changes in what I do each day as I have learned more and grown as an entrepreneur. This is directly related to how well I plan and organize my time and efforts in every area of my life, and specifically in my business. Taking the time to plan and organize will most definitely increase your bottom line. I typically do this each quarter, and then have monthly reviews and updates, as well as my end of the year overview. 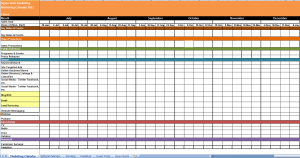 One thing that makes it all much faster and easier is my use of a marketing and editorial calendar. By keeping an annual calendar for your content creation, live events, product creation, and marketing, you can easily keep track of your monthly, weekly, and daily activity throughout the year. This allows you to track your overall business goals, make sure your social media efforts are on track, and even pre-plan for special events, holidays, and other business related events. 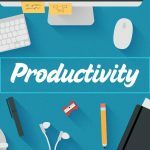 This will result in a focused and relaxed business atmosphere, instead of the chaotic, frenzied activities I see from most of the people working online today. 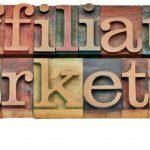 As an affiliate marketer, the marketing calendar gives me the flexibility of being able to recommend a variety of products and services throughout the year. As a product creator, I can make sure to offer a few different types of courses and trainings throughout the year. And as a content creator, the marketing and editorial calendar keeps me on track with my business and writing goals. There is no right or wrong way to plan out your year; try a few different methods to see what works best for you. First, pick up a twelve month desk and wall calendar for your office. If your calendar doesn’t have holidays or observances in it already, add any that are relevant to your audience. Add annual events that your audience recognizes or participates in, such as specific days that make sense for what you have to offer. For example, World Entrepreneurship Day is celebrated on April 16 each year, and this may be an event that you can work into your schedule. You can see more examples of these special days here. Next, brainstorm relevant themes for each month that relate to your niche and in the hearts and minds of your readers. Have fun with this so it will be something you look forward to as you plan and schedule. Finally, coordinate your business goals with each of your monthly themes by planning daily or weekly topics that relate to each month’s original theme. On a regular basis I am always adding and changing events on my calendar. If I am invited to speak at a live event I block off the days I need to be away from home. This would include my travel days, days at the event, and vacation days, if I choose to stay longer in that city. The same goes for when I am asked to speak on a webinar or as part of a telesummit. I would typically block off time to prepare my presentation in advance of the actual date I am presenting. This leads into my marketing calendar and schedule of promotions. I want to know what I will be sharing with my community well in advance of my mailings, blog posts, social media updates, and my own teleseminars and webinars. Your calendar need not be fancy or complicated. You know that I like to keep everything very simple, so I use a desk and a wall calendar from my local stationery store. 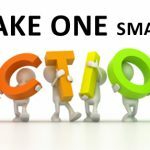 The most important thing is to make sure to keep it current, relevant, updated, and packed with both content creation and marketing opportunities to help you grow your online business profitably. Thanks for the helpful post, Connie. And, really appreciate that you said it doesn’t have to complicated. Just having a calendar for what you do post is handy as a reference too, and let’s you see what you’re writing the most about. My first calendar just had four coulmns for the date, the category, the title, and the URL. Super for quickly finding posts to help answer questions in groups and forums. Thanks so much for sharing this, MaAnna.